Miracles From Heaven is based on the incredible true story of the Beam family. 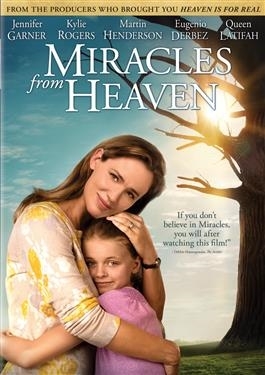 When Christy (Jennifer Garner) discovers her 10-year-old daughter Anna (Kylie Rogers) has a rare, incurable disease, she becomes a ferocious advocate for her daughter's healing as she searches for a solution. After Anna has a freak accident, an extraordinary miracle unfolds in the wake of her dramatic rescue that leaves medical specialists mystified, her family restored, and their community inspired.